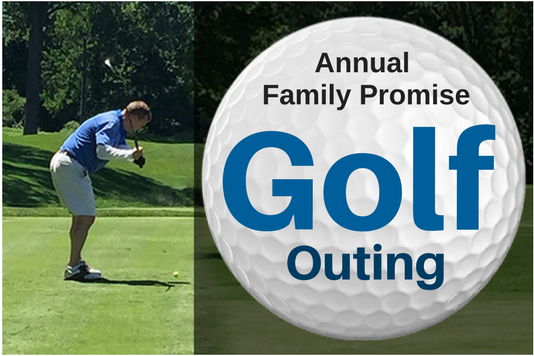 The 19th Annual Family Promise Golf Outing was held on Tuesday, June 12, 2018. The weather was perfect as 84 golfers enjoyed a day on the beautiful course at Edgewood Country Club in support of Family Promise. Guests enjoyed lunch, a shotgun start with 18 holes of golf, cocktails and dinner, plus an exciting silent auction of fabulous prizes. To add to the excitement, there was a Hole-in-One prize of $30,000 cash and a Shoot-Out Tournament with a cash prize of $250,000. Unfortunately, no one won either contest but everyone had fun trying! Both contests were sponsored by the Matthew 18:5 Foundation. Thank you to everyone who participated and especially our generous sponsors: Presenting Sponsor Bogota Savings Bank, Major Sponsors BD, Lakeland Bank, OritaniBank Charitable Foundation, PKF O’Connor Davies and PSEG. Our Luncheon Sponsor was Inserra Supermarkets and the Dinner Sponsor was Schreiber Foods International. Attention golfers! Birdies for Family Promise is a great way you can support Family Promise throughout the golf season. Click HERE for more info. Point In Time Survey – The Results Are In!